[German]Security Researchers from Russian security firm Positive Technologies has found a way, to disable the unsecure, vulnerable and much hated Intel Management Engine (ME) 11 on Boards. [German]Adobe has released some security updates for his Adobe PDF Readers. And there is a security update for Adobe Digital Editions. [German]Adobe (and Microsoft) has released on August 8, 2017 another Flash Player update that fixes vulnerabilities. Here are a few details about this security update. Oracle has released the virtualization software VirtualBox Version 5.1.26 on July 27, 2017 as a maintenance update. [German]Oracle released VirtualBox Version 5.1.24 on July 28, 2017. It’s a maintenance update. Here are a few details. 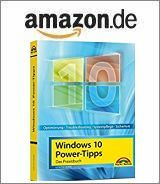 [German]Some users are missing their optical drives (DVD, CD) after upgrading from Windows 7/8.1 to Windows 10, or after a feature update. Here are some details how to fix it. [German]Microsoft has released a critical security update on June 23, 2017, for Microsoft Malware Protection Engine (MsMpEng). This update addresses vulnerability CVE-2017-8558. Here are a few details. On Mai 1, 2017 Intel disclosed the AMT vulnerability (INTEL-SA-00075), without publishing details. Security Researcher from Tenable has analyzed this vulnerability.